3 Bedroom, One Story, 5 Minute Easy Walk To Beach! modern beach meets vintage maine! charming, sunny cottage in an ideal off-the-beaten-path location. stroll to long sands beach in minutes. all beds brand new! – 1 queen, 2 full, and 1 twin. new hardwood floors and all walls freshly painted. large eat in kitchen with farm table that accommodates at least 8 guests. bright and peaceful sun room for quiet reading, card playing or enjoying a glass of wine after a day at the beach. patio with grill and back yard large enough for family fun! ample off-street parking. enclosed outdoor shower. we spent our childhood summering in maine –– collecting shells, riding waves, and sailing the atlantic coastline. we now own a place where we will continue to make memories with new generations. we'd love to share our home that we created with love with those who want to make memories of their own! recently renovated, authentic New England cottage. close to sea. very clean. quiet dead-end street. pillows and quilts only. sheets and towels are renter's responsibility. in some cases sheets and towels can be provided for an additional fee. please contact owners for more information. utensils, plates, mugs and glasses for 8. Beautiful inside, bigger than the pictures. Walk to the beach, short drive to Ogunquit. Beautiful cottage. Perfect for our family of 5! The outside shower was the biggest hit with the kids. We also enjoyed breakfast and dinners sitting together at the large kitchen table. It was a nice short walk to the beach and near the high school where we enjoyed playing after the beach. Would love to stay again! We were so happy with our rental. It was clean with lots of little touches that made it a great place to spend a week. Classic Maine cottage. Comfortable & clean. Just a short walk to the beach. Enjoyed our stay in this quaint and quiet cottage. Very nice classic Maine cottage within an easy walk to the beach. Lovely. This "Hidden Gem" really IS a hidden gem! 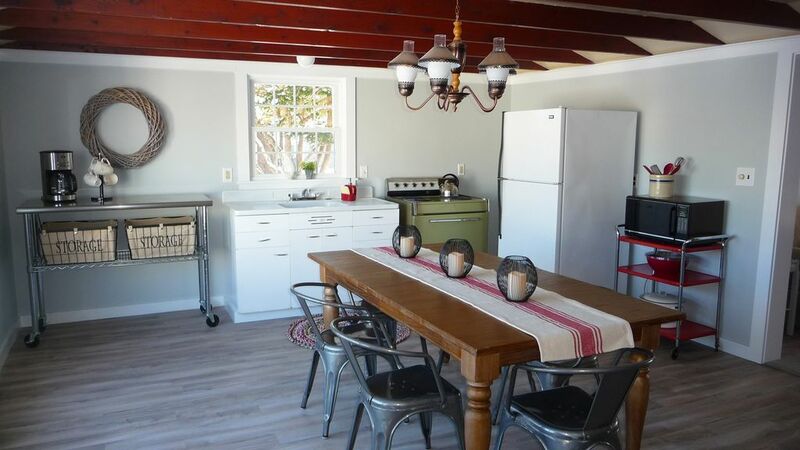 The cottage is so comfortable and bright- perfect for relaxing and fun! It is close to Long Sands, just a quick walk up the road, but still in a quiet neighborhood. Loved our vacation there-can't wait to get back! !